The Denise Louie Education Center, which provides high-quality multicultural early learning and family support services to Seattle kids, wanted their leadership team to be operating on the same page. As a result, 501 Commons' Human Resources provided a series of supervisor trainings to ensure everyone is working together as a unified team. Far too many children in the state of Washington enter kindergarten unprepared. Especially for children in poverty, the achievement gap can lead to increased difficulties in school and beyond. 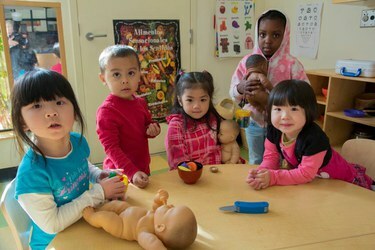 Since 1978, the Denise Louie Education Center has provided high-quality multicultural early learning and family support services to Seattle kids. Offering programs such as Early Head Start home visits, Head Start preschool, and Play & Learn social groups, DLEC’s leadership team plays a crucial role in serving more than 575 children every year. Cheryl DiNovi, DLEC’s Birth to Three Director, says the organization had a mix of supervisors with differing levels of experience and skills. She wanted everyone on the leadership team to be operating with the same set of standards, expectations, and knowledge. As a result, DLEC asked 501 Commons Human Resources to provided a series of five supervisor trainings that covered anti-discrimination, ADA compliance, hiring/interviewing, wage/HR law, I9, drug-free and leave of absence policies, company philosophy, violence prevention, sexual harassment, and other topics. Learn more about how 501 Commons [Human Resources Partner program and other HR services] can help your nonprofit’s staff and leadership team.